This March 2002 photograph shows a deer tick under a microscope in an entomology lab in Rhode Island. Pennsylvania led the country in highest reports of lyme disease again in 2016, with more than 12,000 cases. Pennsylvania again leads the nation in reported cases of Lyme disease according to tracking conducted by the federal Centers for Disease Control and Prevention. Preliminary data released by the CDC on Thursday shows there have been 12,092 cases of the tick-borne disease reported in Pennsylvania this year through Dec. 24. That figure is triple the amount of New York, which registered the country's second-highest total with 4,002 infections in 2016. CDC officials say more than 30,000 cases are reported each year. Symptoms of Lyme disease include fever, chills, joint aches, swollen lymph nodes, headache and rashes. If left untreated, the infectious disease can lead to arthritis and other problems. The Pennsylvania Department of Health has cautioned that the 2016 figures haven't been finalized yet. Scientists have tried all sorts of strategies for stopping the blacklegged tick, the carrier of Lyme disease, from biting us. Lyme disease is a bacterial infection that affects an estimated 300,000 people in the United States each year, primarily in the Northeast and upper Midwest. 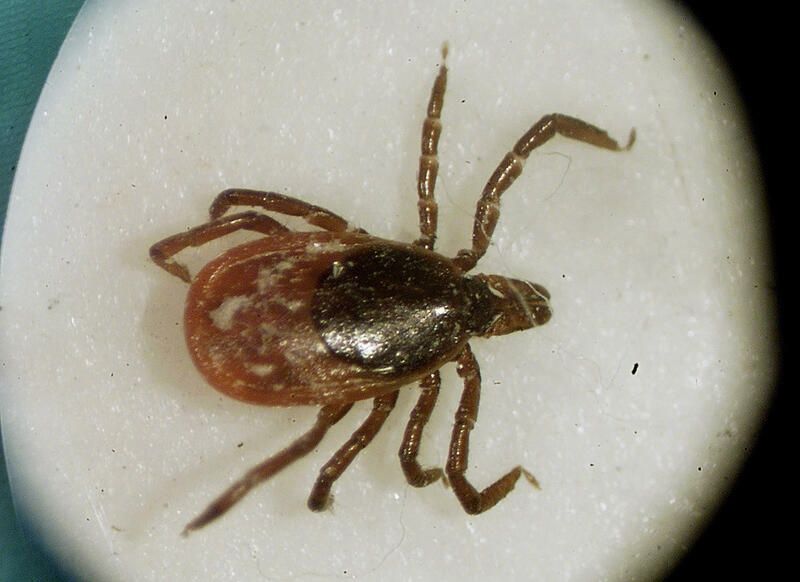 A 20-member task force of health and research professionals released a report last week on Lyme and related tick-borne diseases to help guide the Pennsylvania Department of Health and the General Assembly's strategy in addressing the growing issue. Cases of Lyme disease are on the rise in Allegheny County, with a more than 40-fold increase in a little over a decade. The Allegheny County Health Department (ACDH) is warning the public of this rise and offering preventive tips. In 2013, the Centers for Disease Control and Prevention recorded 27,203 cases of Lyme disease nationwide, 4,981 of which were in Pennsylvania. And, for the last five years, Pennsylvania has reported more cases of Lyme disease than any other state. As temperatures rise and people begin to spend more time outdoors, U.S. Sen. Bob Casey (D-Pennsylvania) is calling for an increase in federal surveillance. In developing nations, acute intestinal diseases and respiratory infections are deadly. In the United States, the same viruses are the most likely culprit when children are hospitalized.